The Broncos have lost four straight and are officially on the hot seat and can watch their hopes of making the postseason blow up with another loss on Sunday night to the Patriots. Denver is limping into this one at 3-5 and the reason they’re struggling has to do with the offense. The defense has been holding up their end of the bargain despite last week’s anomaly in Philadelphia where everything that could go wrong did. But Denver’s offense has scored just 52 points during the current four-game losing streak. And 14 of those points came in garbage time when the game was already lost in Philly. That won’t win many games and the team is struggling to find the answers to right the ship. Here are a few of our first impressions of the Broncos before Sunday night’s matchup. Carousel Under Center: Quarterback Trevor Siemian has been benched and the team has turned to Brock Osweiler. Osweiler started in place of an injured and aging Peyton Manning in 2015 and played well. The highlight of his career could easily be the Sunday night game where he beat the Patriots in a thrilling overtime win. However, soon after Denver’s Super Bowl win, Osweiler bristled at GM John Elway’s waffling on whether to sign the young QB to an extension or to sign Manning to a one year deal. Osweiler bolted to Houston for a big money contract, who could blame him? But he quickly flamed out with the Texans and with them drafting DeShaun Watson, they shipped Osweiler to the Cleveland Browns. And he couldn’t make the team there, despite the woes of the QB position in Cleveland. With the injury to QB Paxton Lynch, he’s was brought back full circle to the Broncos. He didn’t play well in Philadelphia last week, but neither did any of the other players. Now the team is hoping he can catch lightning in a bottle twice against the Patriots and hold the season together (with their defense) until they know what they have in Lynch, who Elway spent a first-round draft pick on in 2016. He’s getting healthier and if Osweiler doesn’t want to be replaced again in Denver, Sunday night is a big one. Running Game Needs to be the Focus on Sunday: In Denver’s first few games of the 2017 season, they ran the ball down the throat of their opposition and jumped out to a 3-1 start and people were already pencilling them in for a long playoff run, thanks in no small part to their dominant defense. A big part of their quick start was the running game. Running back C.J. Anderson was averaging 82.5 yards per game, (nearly 100 in their three wins). But during the four-game losing streak, Anderson’s production has plummeted. He’s gotten only 152 yards the past four weeks with 78 of them coming against the Giants. But don’t dismiss the Denver running game, or in case you need a refresher for your memory, think back to that snowy game in 2015. Anderson ran for 113 of Denver’s 179 yards and that running game opened up a big game for Osweiler who passed for 272 yards. Denver as a team are averaging 4.2 yards per rush, which is exactly what Anderson is averaging. Jamaal Charles is averaging 4.4 yards per carry and Devontae Booker is tops with a 4.6 yard per carry average. Defensively for the Patriots here is where the game will be won or lost. The Patriots aren’t doing a great job of stopping the run and with Malcolm Brown and Dont’a Hightower out, it will make the running game a harder option to stop. When Denver has run well, they’ve won. When they haven’t, their quarterback play has suffered and they’ve lost. It isn’t hard to see where the Patriots defensive focus will be this week. Turnovers Have Plagued the Team During Recent Skid: Like everyone else with an offense that is struggling, the Broncos can’t afford turnovers and that is exactly what they’ve been doing during the recent losing streak. Denver right now is woeful -12 in the turnover department. One of the reasons that Siemian was benched was turnovers. In the seven games that he started, he turned the ball over 15 times with 10 interceptions and five fumbles. On the flip side of that, the Denver defense will be looking to feed off of the normally raucous crowd of their home field and force a couple of turnovers of their own. They are feeling a bit salty after allowing 51 points in Philly and the Patriots are always Public Enemy #1 for them. Again, going back to that 2015 game, what turned the tide? A turnover. Chris Harper muffed a punt in the second half and the Patriots went from having a double-digit lead to quickly being down and having to force an overtime. Turnovers will be key to both teams this week. Don’t Expect Defensive Meltdown At Home: Pundits are entirely too quick to throw dirt on this Broncos team, especially the defense. Even many Broncos fans on social media have been quick to predict gloom and doom this week as the two teams will meet on primetime Sunday night. Besides giving up the 51 points last week, particularly galling for members of the defense was HOW they gave them up. Philadelphia had over 400 yards of offense but 197 of them were on the ground. Entering the game last week, Denver had allowed just 510 yards rushing or 72.8 yards per game. Von Miller spoke about that game and how the team was approaching the rest of the season this week to ESPN. “We are where we are right now,” Miller said. “Right now, [Sunday] … we’re not a good football team. Don’t expect to see Dion Lewis running wild this week. Look for the Broncos to be much better and back to their normal selves on Sunday night. 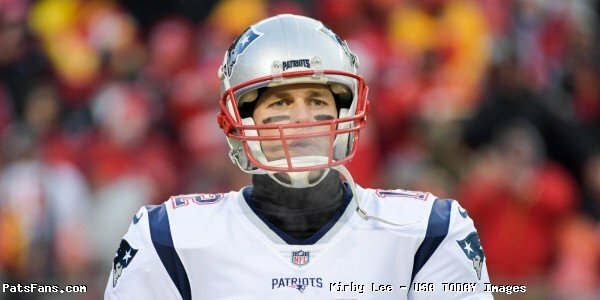 This entry was posted in 2017 Patriots Season, NFL Commentary, Patriots Commentary, Patriots News and tagged 2017 Patriots Season, Bill Belichick, Brock Osweiler, Chris Hogan, CJ Anderson, Denver Broncos, Dion Lewis, Dont'a Hightower, Jamaal Charles, Rob Gronkowski, Shea McClellin, Tom Brady, Trevor Siemian, Trey Flowers, Von Miller on November 8, 2017 by Steve Balestrieri. Before the AFC Championship game on Sunday, Many Denver Broncos players were heard trash talking the New England Patriots but running back CJ Anderson was not one of them. On his personal Instagram account, Anderson created this respectful tribute to quarterback Tom Brady following their exchange on the field after the game. His admirable words below might help ease the pain of defeat. This entry was posted in Patriots Commentary, Patriots Photos and tagged CJ Anderson, Tom Brady on January 28, 2016 by Robert Alvarez. 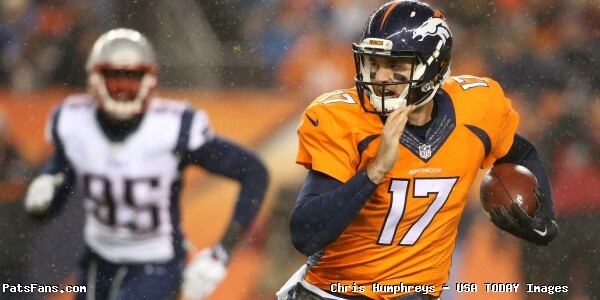 The Patriots dropped an overtime loss in Denver to the Broncos Sunday night 30-24 as C.J. 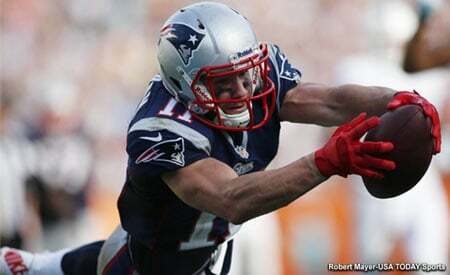 Anderson rumbled 48 yards for the game winning touchdown on a third and one after the Patriots had stalled. The loss ended the Patriots winning streak in 2015 at 10 but the bigger loss is that of tight end Rob Gronkowski who went down with a knee injury in the fourth quarter. Anderson and Ronnie Hillman combined for 179 yards on the ground as the Denver rushing attack gave the Broncos the ability to control the flow of the game and kept them around for a fourth quarter comeback. The Patriots led 21-7 in the fourth quarter and seemingly had the game under control until Chris Harper muffed a punt that Denver turned into a touchdown by Anderson that ignited the Broncos and the crowd. Denver surged back for a go-ahead touchdown with Brock Osweiler hitting Andre Caldwell in the end zone for a three-yard score with just over a minute to go. 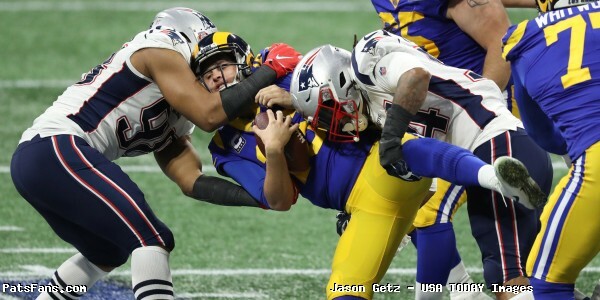 That set the stage for Brady to mount a desperation drive that culminated with Stephen Gostkowski booting a 47-yard field goal that sent the game into overtime. 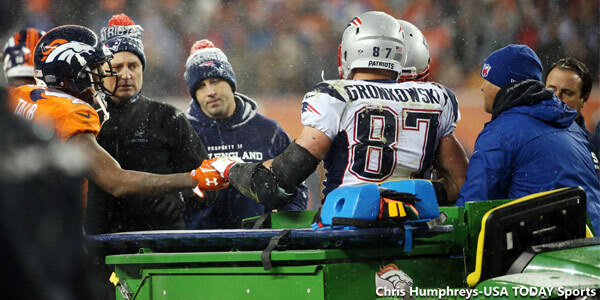 The loss still leaves the Patriots at the top of the AFC at 10-1 with both Cincinnati and Denver at 9-2. The team still has a comfortable four game lead in the AFC East as the nearest competitor the Jets sit at 6-5 and the Patriots hold the tiebreaker against them. So the loss of the game means less than the potential loss of their biggest weapon on the offense. QBs play well: Brady and Osweiler ended the night with similar numbers; the Broncos’ starter in his second game in for an injured Peyton Manning completed 23-42 for 270 yards with a touchdown and an interception. Brady finished 23-42 for 280 yards with three touchdowns and zero interceptions. On a cold night with blowing snow, both quarterbacks threw the ball well and it seemed that the weather conditions wasn’t a big factor other than perhaps slowing the pass rush of each team a bit. Osweiler pass to Emmanuel Sanders to the Patriots ten-yard line in the closing minutes was an absolute beauty. His best pass of the night. Offense Takes Another (Big) Hit: With the loss of Gronkowski the Patriots offense, if he’s out for any length of time reverts to early training camp mode. Brady’s top four targets in 2015 will be out and they’ll be looking for someone to step up. Going from a quick strike multi-dimensional attack to searching for someone to step up; without Gronkowski et.al this unit becomes a plodding offense and there will be no more explosions of points. Josh McDaniels and Bill Belichick are the best at putting players in a position to succeed. They’re going to have to be even better now. Without Dion Lewis, Julian Edelman and Danny Amendola, they lost their quick, off-the-line players who can beat coverage off the line and allow Brady to throw it in less than two seconds which was tearing teams up early in the season. They were searching for matchups and tried to attack the Broncos linebackers with deep shots down the sidelines with throws to Scott Chandler and Brandon LaFell as well as a wheel route with Brandon Bolden. Some worked better than others (Bolden’s 63-yard TD catch) but it is simply a case of them trying to search for the best case scenario. Losing Gronkowski for any length of time, (reports were circulating after the game that it wasn’t a serious injury), takes away the game’s biggest mismatch. No one in the NFL has the combination of size, strength and athleticism at the tight end position that he does. Which is why with the loss of the players listed above, teams have been doubling him and covering him at times with their better cornerbacks with safety help. Another Not-so-stellar night for Refs: This officiating crew was just another example of what is becoming an embarrassment for the NFL. With the crew letting the players play for the majority of the game, there were numerous cases of jersey pulling on Gronkowski all game long, the arm bar on Talib that was let slide, but then they call the most ticky-tack holding penalty on the Patriots that wiped out a sack that would have pushed the Broncos back to a third and goal from the 19-yard line, instead to a first-and-goal from the four. A key holding penalty on Tre’ Jackson wiped a 51-yard pass from Brady to Keshawn Martin in the fourth quarter that would have put the Pats in field goal range. But the hankies were firmly in the refs pockets on a blatant hand to the face of Jabaal Sheard on the Broncos go-ahead touchdown as well as a hold on McCourty on the game-winning touchdown at the line of scrimmage. But the best (worst) two were the ridiculous offensive pass interference penalty on Gronkowski which wiped out another key first down and the Broncos “fourth” time out where the clock doesn’t stop and precious seconds were allowed to tick away. The call on Gronk was particularly a sore spot with both he and Brady as the QB looked close to drawing an unsportsmanlike penalty which would have been a perfect ending. Bill Belichick was particularly testy when asked of this after the game and said, “Go ask the league, they have all the answers,” when speaking of what is and ISN’T offensive pass interference. Bottom line is this; there’s no sense in the team arguing about referees and officiating. They didn’t and it wasn’t the reason they lost (more to that below), but it would be nice to see a “level playing field” when it comes to how they’re calling these games. Be proud Rog…. Rush Defense gashed: Coming into this game, one of the keys we looked at the was the run offense that was transforming under Osweiler. It was similar to the offense that the Ravens ran, and gave the Patriots so much trouble with last year. With Peyton Manning under center, primarily in the shotgun, the rush offense stifled and was largely ineffective. Now with Osweiler under center, the stretch plays and the bootlegs have been much more effective. Hillman and Anderson ran them to perfection and although the Patriots run defense came in allowing only 88.8 yards per game, they were gashed time and again. Once again, injuries played a big role in this one and moving forward. With their top two linebackers missing, Jamie Collins missed his fourth game in a row with an illness and Dont’a Hightower left the game with a knee injury and didn’t return the run defense suffered. Although Jerod Mayo and Jonathan Freeny filled in well, they don’t possess the athleticism and power that Collins and Hightower do. Hopefully (this refrain is getting old), Hightower won’t be out long and the illness that sidelined Collins for a month is gone and they’ll be back on the field. One bright spot in the Broncos game was the play of Alan Branch. He was penetrating on the inside rushes all night long and had a nice night of pushing the pocket inside on the passing downs, getting his hand on a couple of throws by Osweiler. Jabaal Sheard had another big game as well as he’s seemingly completely healthy again and a force on the edge. Ryan Stellar on Thomas: Patriots cornerback Logan Ryan had the unenviable job of guarding the Broncos leading receiver Demaryius Thomas on Sunday night. And he was outstanding; Ryan shadowed the Broncos talented and explosive wide out all night long and had him at zero catches for the first 11 passes that Osweiler threw his way. On the Broncos go-ahead drive, Thomas out-leapt Ryan for a big 36-yard gain that put Denver at midfield but once again Ryan had tight coverage on the play. Ryan was also beat on the go-ahead touchdown by Caldwell but it was perfectly thrown pass by Osweiler in a tight window. Ryan has been a very solid contributor all season long and his play on Sunday night drawing Thomas was by no means an ordinary assignment. Had things ended differently for the Patriots, Ryan would be talked about as one of the key players of the game. This entry was posted in Patriots Commentary, Patriots News and tagged 2015 NFL Season, Bill Belichick, Brock Osweiler, CJ Anderson, Danny Amendola, Demaryius Thomas, Denver Broncos, Emmanuel Sanders, Julian Edelman, LaGarrette Blount, Malcolm Butler, New England Patriots, NFL, Patriots, Patriots edge rushers, predictions, Rob Gronkowski, Rob Ninkovich, Ronnie Hillman, Social Media, Tom Brady on November 30, 2015 by Steve Balestrieri. The Patriots have a short week to prepare and head out west to take on a familiar nemesis in the Denver Broncos on Sunday evening. The Broncos (8-2), are fresh off of a tough 17-15 win on the road against the Chicago Bears on Sunday. Brock Osweiler made his first career start and was impressive completing 20-27 passes for 250 yards. The defense kept the Bears out of the end zone time and again with impressive stops. The Patriots beat the Buffalo Bills 20-13 on Monday Night Football. 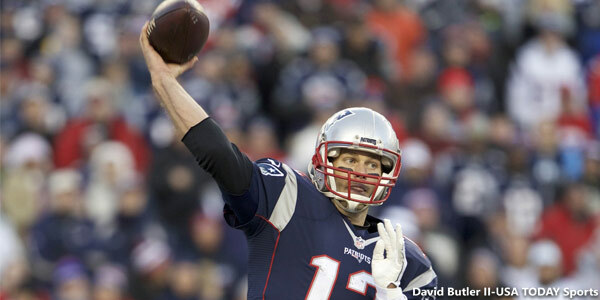 Tom Brady, despite being hit hard all night long passed for 277 yards in leading the Patriots to the victory. The defense was impressive holding the Bills to a single touchdown and a pair of field goals. The game is scheduled for 8:30 p.m. and will be televised by NBC and will have their announcing crew of Al Michaels and Cris Collinsworth on the call. It will also be carried by the Patriots flagship radio station 98.5 FM the SportsHub with Bob Socci and Scott Zolak. Team is Osweiler’s Now: With the news that Peyton Manning has his foot in a cast and will be out at least another two weeks, we now know that Osweiler will be at the helm for the foreseeable future and barring a total collapse will be the quarterback to lead Denver into the post season. He did nothing to hurt himself or the team in Chicago; he runs the offense that Gary Kubiak wants to operate in rather than a hybrid that they were running for Manning. His first drive was a beauty, capped off with a 48-yard touchdown pass to Demaryius Thomas. Osweiler did all the little things right in his first start; he knew when to throw the ball away and not try to force things where there was no opening. He got everyone including new TE Vernon Davis involved. And he used his three plus years of being a backup to prepare himself to play well against a good Bears defense. Most importantly, for the first time this season the Broncos didn’t turn the ball over. Manning has been a shadow of himself all season and his 17 interceptions are the most in the league. Osweiler runs the offense exactly as his coach envisions it and although he may have some bumps in the road gives the Broncos the best chance for success. Broncos Hope to Have Sanders, Ware Back Sunday: The injury news is just related to Manning’s foot for the Broncos. Wide receiver Emmanuel Sanders (ankle), and OLB DeMarcus Ware (back), both missed the Chicago game on Sunday. Sanders tried to go but after working out with the training staff prior to the Bears game, he still wasn’t close to 100 percent and was deactivated. Ware missed the last couple of games with a back ailment flared up against the Colts and hasn’t practiced since. Ware has circled this game as a possible return and after watching the Bills pass rush pound Tom Brady last Monday night, must be chomping at the bit to get back into action. But in reality, the return of Sanders to the Broncos offense would be more of a boost, especially for a young QB making just his second start against an underrated New England defense. Defense Not Lacking Confidence, “Best in the World”: The Denver defense which has been the top unit in the NFL this season in terms of yardage allowed (277 ypg entering Sunday), put an exclamation point on Sunday’s win in Chicago, stuffing Bears RB Jeremy Langford two-point conversion attempt with 29 second left. The Broncos secondary, allowing the least amount of passing yardage in the league by a wide margin, is a confident, cocky bunch who play right to the edge and sometimes over the line between tough and dirty play. Against the Chiefs in Week 2 they committed four personal fouls in the first half. Aqib Talib was suspended for the second Chiefs game for eye-gouging Colts tight end Dwayne Allen and the next week T.J. Ward was ejected for punching Chiefs WR Jeremy Maclin. “Best DBs in the league,” Omar Bolden said on Tuesday to the media about the Broncos’ secondary. Their best moment came against Aaron Rodgers and the Green Bay Packers during their Week 8 matchup holding Rodgers and his fleet crew of receivers to just 76 yards passing, the lowest amount in any of his career starts. With a smothering pass rush consisting of Ware, Von Miller and rookie Shane Ray, the Broncos play an aggressive and blitzing man-to-man coverage and they rely on their corners to get it done. Running Game Gets Spark in Chicago: The Broncos needed a spark in the running game against the Bears with first time starter Osweiler at QB and got it on Sunday. After rushing for less than 70 yards in the previous two games, they rushed for more than that in just the first half. Denver leaned on running backs C.J. Anderson and Ronnie Hillman and rushed for 170 yards on the day, frequently picking up key yardage and moving the chains. Hillman rushed for 102 yards on the day and Anderson added 59 in the win over the Bears. It was the type of performance the Broncos have looking for, the running game has been extremely inconsistent thus far in 2015 with six games of having the team rush for less than 70 yards and four games with them being very effective, with 944 yards, the bulk of their season’s total in wins against the Bears, Packers, Vikings and Browns. In Kubiak’s system, the backs have to be in a “one-cut-and-get-up-the-field mode. Parts of their struggles have been the running backs haven’t been decisive enough. But also a revolving door of offensive linemen has hurt their continuity….something the Patriots know full well. So with a renewed sense of running the ball to help their young QB, the running matchup should be a key one to monitor. Broncos Tight Ends Are Young QB’s Best Friend: With Emmanuel Sanders out for the Bears game, the Chicago defense made a concerted effort to take away Bronco WR Demaryius Thomas and in doing so opened up the middle of the field for QB Brock Osweiler. Osweiler found the big spaces in the middle of the Bears defense time and again hitting tight ends Vernon Davis and Owen Daniels for a combined 10 catches for 137 yards, with eight of those catches going for first downs. It was Davis’ best production since coming over from the 49ers as he snagged six passes for 68 yards and looked more like the Davis we were accustomed to seeing in San Francisco. He seemed to be much more in sync with Osweiler than he had with Manning in the previous few games. Perhaps the Bears were a bit gun-shy after Thomas burned them for a 48-yard touchdown on the opening drive of the game, but those two tight ends will be a tough matchup for the Patriots secondary on Sunday. This entry was posted in Patriots Commentary, Patriots News and tagged 2015 NFL Season, Aqib Talib, CJ Anderson, Danny Amendola, DeMarcus Ware, Demaryius Thomas, Denver Broncos, Emmanuel Sanders, Julian Edelman, New England Patriots, NFL, Patriots, Rob Gronkowski, Ronnie Hillman, T.J. Ward, Tom Brady, Von Miller on November 25, 2015 by Steve Balestrieri.